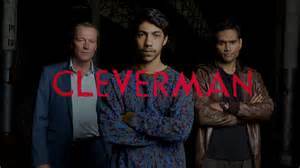 The beauty of Cleverman is in it’s simplicity. And that’s where the creators of this show got it spot on because at the centre of the show is something we all relate to; family (Peggy Mitchell voice). Whether you had any or not, it shapes all of us. And that basis is what shines through every one of these characters. If that sounds really vague, then I’m glad because I don’t want to spoil it for you. Yes, it’s THAT good. But what got me most was how poignant it was that the characters are living in a country that believes it is better off by itself. A country that has never achieved anything by itself suddenly thinking it can manage as some kind of single entity. A world where people do not learn from the mistakes of their forefathers, instead choosing to repeat them tenfold. I mean any sane person would think that was ridiculous decision. Wouldn’t they…? But aside from the moral questions that Cleverman makes us ask ourselves, it has some great dialogue; delivered by some even greater actors. And a history lesson better than anything you’ll ever learn in a classroom. You may have the star quality of the legendary Iain Glenn and the accomplished Francis O’Connor but the newcomers show that talent is as important as anything else. Hunter Page-Lochard and Rob Collins Re perfect as Ken and Waruu West. Two brothers who share dna but not their views of the world. Then there’s Deborah Mailman, recognisable to anyone who was addicted to The Secret Life of Us in their teens. Channel 4 always showed it late, but somehow I always found my way to the sofa to watch it. Honorable mentions to Ryan Corr – whose name says it all, and Tamsa Walton who reminds us that a mothers love never dies. Basically there are a 1,000 reasons to watch, and none not to. Cleverman is available on BBC iPlayer. Freelance journalist, writer, pundit and commentator. I've worked for Sky News, Sky Sports News, the Daily Mirror, The Voice, Channel 4, the Guardian, Mail Online, Arise TV, Radio 5 Live and more. Is there somewhere I could find this online? I haven’t heard of it until now but you make it sound really good! Plus I’m always up for something new to watch. Hi, thanks for your comment. It was on BBC iPlayer in the UK. Abc in the Australia and Sundance TV in the US. If you Google it, it may be possible to find it elsewhere. But I’m glad my review piqued your interest.